The S20 series offers quality, durability and aesthetic value at great prices. The S20 range provides practical and reliable solutions, with a variety of sizes and options within the range the S20 series will have the products to suit any bathroom. 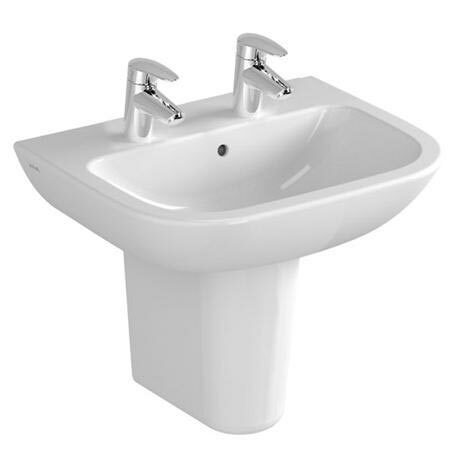 The Image shown is the 55cm Washbasin and half pedestal, for accurate product dimensions please select the size required from drop down menu then view dimensions. Q. Can this be fitted with an 'old fashioned' plug and chain? Hi, unfortunately, this product is not designed for that type of plug. Thanks.